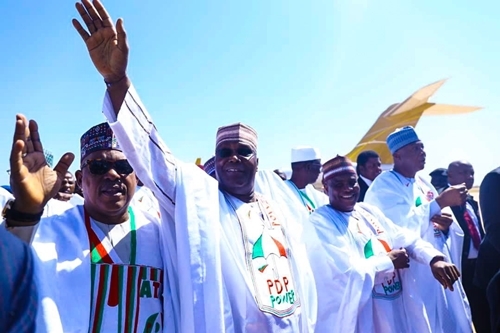 The Senate President Bukola Saraki has asked Nigerians to vote for PDP presidential candidate, Atiku Abubakar, saying that Buhari have been tried and he failed. While speaking at the kick-off of the PDP presidential campaign in Sokoto state yesterday, Saraki said; “Today is a great day, today we are making history. As the DG of the campaign, when we said we wanted to come to the north-west, they said it was a no-go area for PDP, but today, north-west is PDP!. “Today, north-west is speaking for PDP, because they told us it was a no go area. Alhamdulillah Robilalamin (Glory be to God) that today, you have shown you are ready to go PDP. Saraki said Atiku would be voted for because he understands how to make the country better. “The man that can bring food to the table, the man that can fight security, the man that can unite Nigeria, Atiku Abubakar. 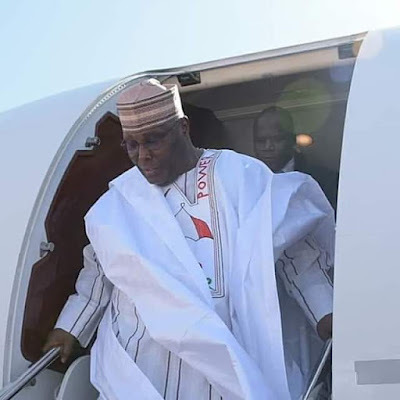 “It is about food, security and we will vote Atiku Abubakar because he understands it, he knows how to make good choice, he knows how to make things work, he knows how to unite Nigerians, that’s why we will vote him.